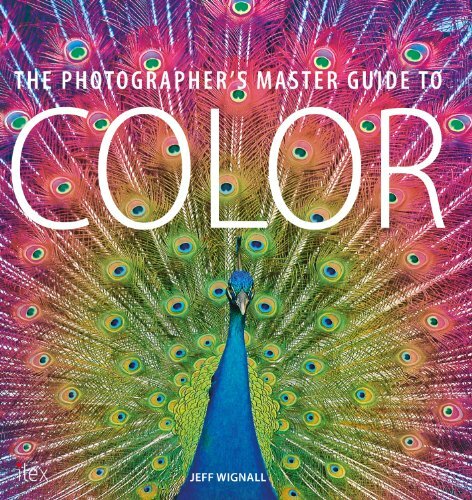 The Photographer's Master Guide to Color is a book that explains what colour is exactly and how you can use it in your photos. I come from an art background with knowledge of how light affects colours, and how colours are mixed with pigments. It's interesting to read about colours from the perspective of a photographer. Chapter 1 talks about the colour basics and the theory of colours. Chapter 2 covers the emotional response created by colours. Here it has information on mood, warm vs cool colours, colour harmony, etc. Chapter 3 talks about how colours are affected by the time of the day, weather and season. Chapter 4 goes into more technical details by talking about colour temperature, white balance, shooting Raw, HDRI, using lens filters. Mostly things that you can adjust either with your camera or computer. Chapter 5 talks about the individual colours separately and creative use of colours in photography. Chapter 6 covers colours that appear after dark. This would be street scenes at night, neon lights, etc. Chapter 7 is the last chapter and is also about technical info like colour management, Raw conversion and other editing possibilities. It's an insightful book and I think photographers will be able to get a sense of appreciation for colours and see their subjects differently after reading the book.